Date: friday 27 january 2012. Location: Goudse Schouwburg, Gouda, Holland. After their previous collaboration in "Motel Westcoast", Edward Reekers and Syb 'Scaliger' van der Ploeg joined forces again for a journey through old pop hits. 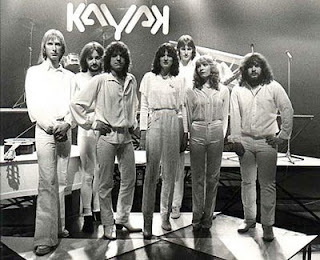 This time it was the great British pop history that was in the picture. 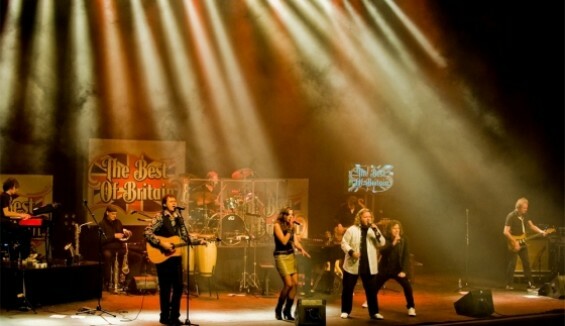 Apart from Syb and Edward, singers were Maarten Peters and young Brenda van Aarsen. They were accompanied by a great band, with a fabulous saxophone/trumpet/clarinet/flute/violin player called Hubert. Syb and Maarten also played acoustic guitar, and both Edward and Brenda played a nice bit of piano! 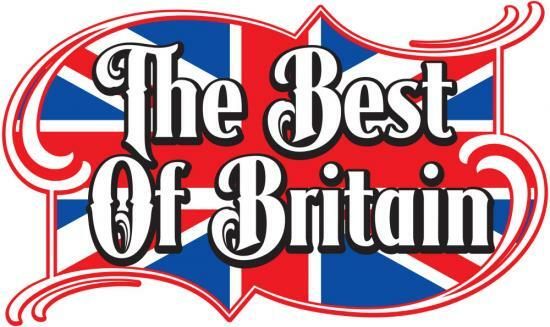 I must say that I enjoyed Motel Westcoast, but "Best Of Britain" was even better! 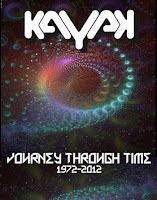 Mainly because of the chosen songs, but also thanks to the complete lack of weak spots, both vocally and instrumentally. Of course Edward was great, but it's also thumbs up for the other singers. Syb was great in the Rolling Stones songs, Brenda was a very good Adele, and Maarten showed his love for the Beatles in a beautiful way. The sold out theatre had a ball!!! 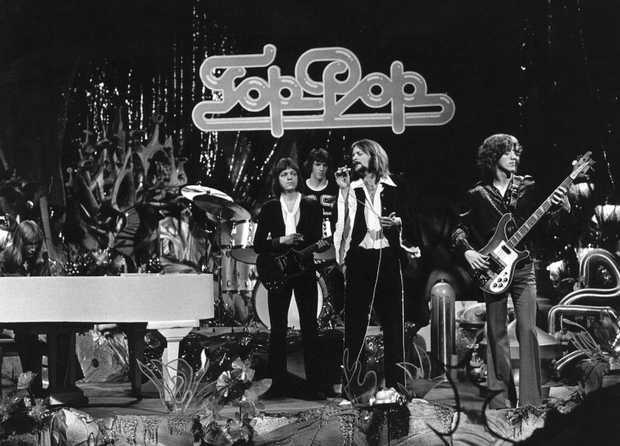 From 1970 until 1988, "Toppop" was a wellknown music show on Dutch TV. 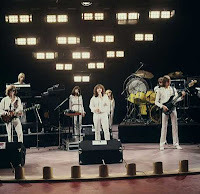 Comparable to the English "Top Of The Pops", the show had artists in the studio as well as showing videos. Over the years, Toppop hosted many famous artists. 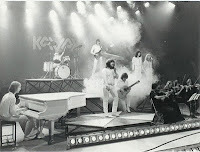 In fact, some Toppop footage is unique as it features yet unknown artists that became famous later. David Bowie, Queen, The Ramones, Cliff Richard and Elton John are just a few of the artists that came over to Holland to appear in Toppop. And Pim Koopman appeared a couple of times as a member of Diesel (1980/88) and The President (1983/84). In one of my older blogs, I mentioned the Queen/Kayak concert in 1974. 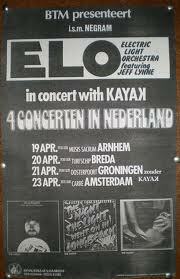 In April 1975, Kayak supported another (future) famous band: The Electric Light Orchestra, or ELO. 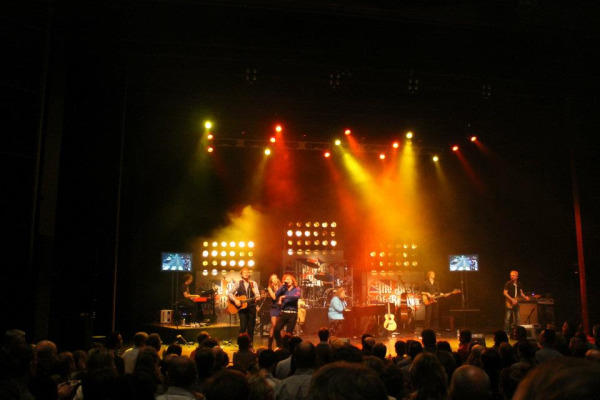 Thanks to Inge Jagt for this picture! 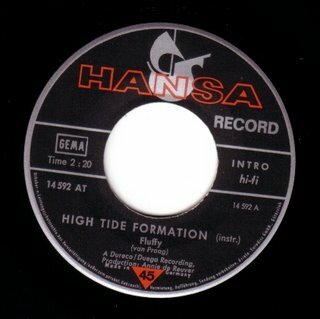 Some real Kayak history now: High Tide Formation. 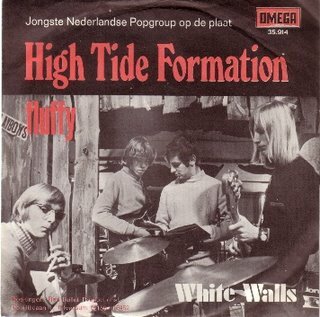 This band was formed in Hilversum, Holland, in 1968. Members were Chiel van Praag (piano), Ron van der Werf (drums), Pim Koopman (guitar) and Ton Scherpenzeel (bassguitar). 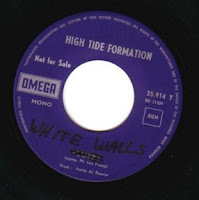 In march 1970, they released a single. 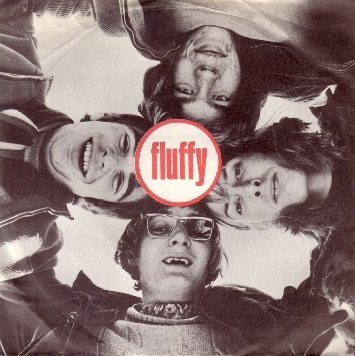 The instrumental "Fluffy" was written by Chiel van Praag. 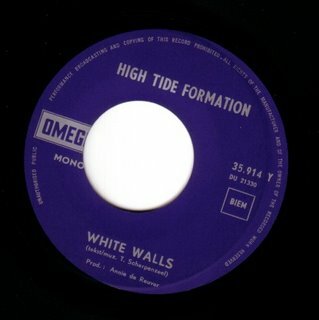 "White Walls" was a Scherpenzeel-penned track, with drummer Van der Werf on vocals. 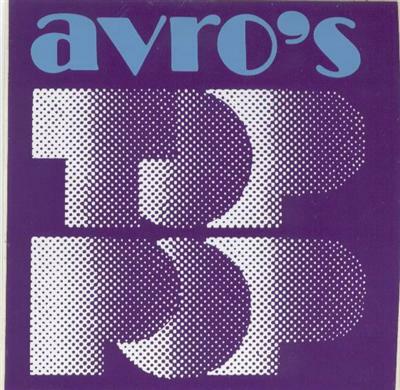 Chiel van Praag plays the piano, but Ton Scherpenzeel does the solo. 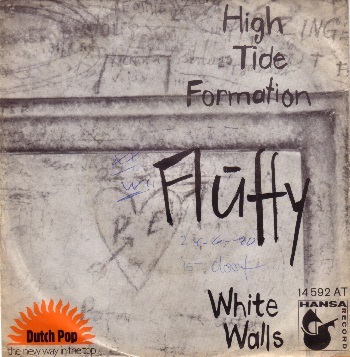 The single made it to the Dutch "tipparade", a list of singles that were 'bubbling under' the real top-40. 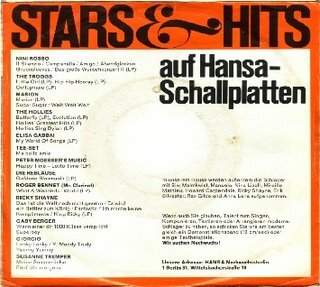 And to my surprise, this single was also released in Germany! High Tide Formation also played live. 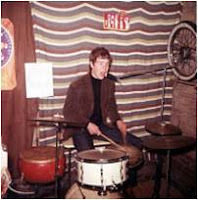 Here are some pictures from a concert at a school party in 1969, where HTF played together with Pepper 'n' Soul. 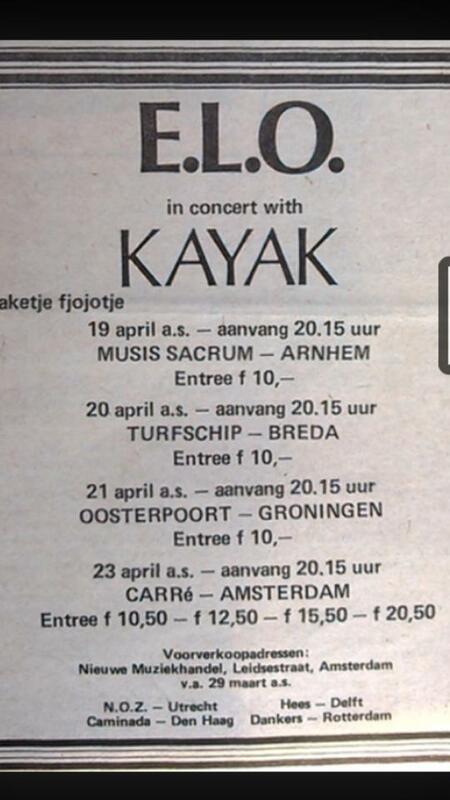 Before Kayak, old friends Ton Scherpenzeel and Pim Koopman already wrote and played music. 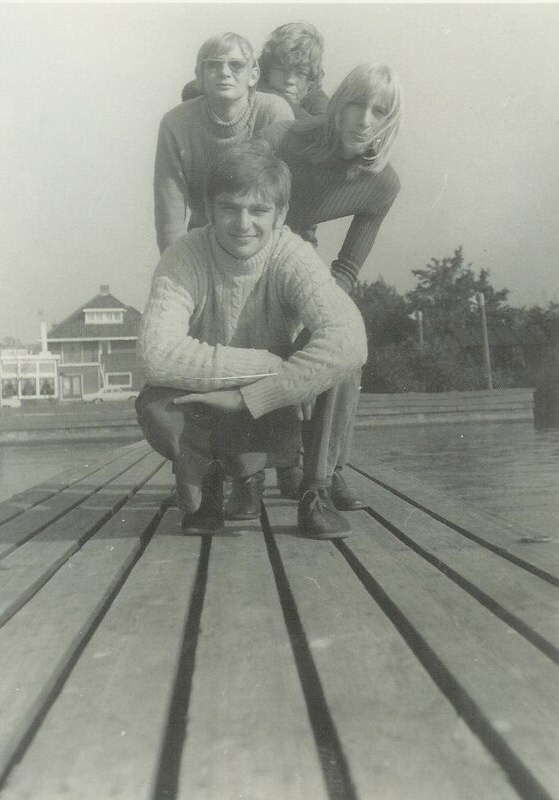 Around 1968, they formed a band called Balderdash: Pim on drums, Ton on bass and Fons Disch on guitar. 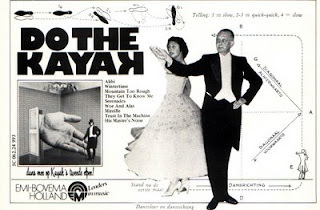 Kayak meets famous film director! 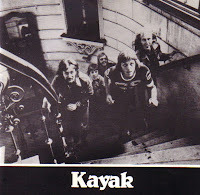 Please note that there are not five men (the amount of Kayak bandmembers in 1977) present on the stairs, but six! The sixth person, at the very back, is Anton Corbijn. 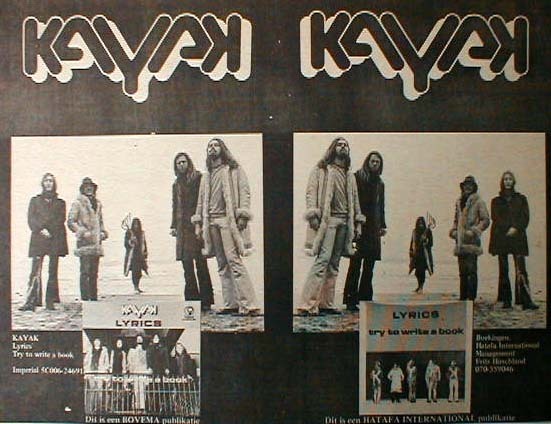 Nowadays a world famous photographer (for U2, Metallica and Coldplay, to name just a few...) and film director, back in 1977 he was a 'pupil' of Gijsbert Hanekroot... (and 'ghost member' of Kayak...). I got in touch with Gijsbert, and he told me that the original photo (not a re-print or so) is for sale. Mind you, if you are interested: you are not buying a lucky shot by some amateur photographer. Hanekroot is a respected Dutch photographer, who worked for various magazines since the 1960's. That, and the ghost appearance of a future worldwide celebrity, makes this a valuable piece of work! 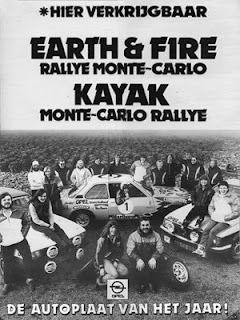 Not much new Kayak-activity at the moment, so let's focus on some Kayakhistory again: a couple of advertisements from the Dutch "Veronica" magazine. 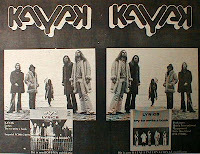 The first one is from March 1973 (! ), the second one is from May 1975.